Ever wanted to take your favourite British Museum object home? Daniel Pett explains how the Museum is using pioneering 3D printing technology to produce replicas of some of its most iconic objects. Over the last four years, the British Museum has been producing 3D models that can be viewed by anyone online. The roots of this work can be traced back to the Arts and Humanities Research Council‘s funding of the MicroPasts crowdsourcing project with University College London, which produced 3D objects for academic research. The Museum continued its 3D output by using native mobile phone applications to publish a selection of objects on the Sketchfab platform, with many available to download under a Creative Commons Non-Commercial licence. A selection of the Lewis chessmen. All of this work was based around the principles of Open Science and the premise of being cheap, quick and easy to replicate for anyone. We used a technique called photogrammetry (multiple photographs taken in a strategic pattern around the object) and the resulting output was rendered in 3D software. Ideally anyone, an individual or institution, should be able to replicate our methods to create 3D representations of archaeology or artworks. 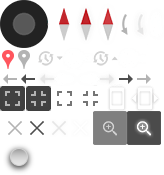 Many have questioned the worth of these 3D models – what value do they add? My answer is that they are a natural extension of museum object documentation. There is a clear progression from line drawing to photography, and now to 3D representations which can be audio described, annotated, reused and embedded. There is also the potential for them to be monetised, which could potentially create a valuable income stream to fund some of the Museum’s work. We have identified and tested several paths, including Virtual Reality (VR) experiences, working with the gaming and other creative industries. However, one of the most exciting ones was working in partnership with the British Museum Company – the Museum’s commercial arm. Some of the models used in Room 3 displays. Together we discussed the concept and process of creating facsimiles for sale in the British Museum shops, both online and on site. We had previously worked with Oxfordshire-based 3D company ThinkSee3D, who had provided replicas for our successful Asahi Shimbun Displays Creating an ancestor: the Jericho Skull, Containing the divine: a sculpture of the Pacific god A’a and Moving stories: three journeys. We worked in partnership with ThinkSee3D using a series of new techniques to produce high quality items for sale in the Museum’s Grenville Shop. They were produced directly from models created in-house and drawn from the collection of models on Sketchfab. It quickly became apparent that printing models in plastics would not be very environmentally friendly and that gypsum prints would be too costly, so we decided to use a method of casting directly from a mould derived from a 3D model. A statue of Roy, High Priest of Amun. 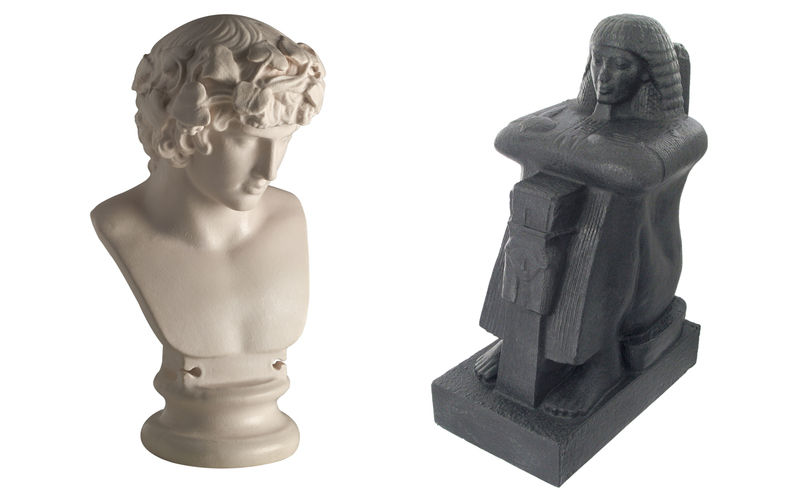 ThinkSee3D have now developed a range of products for sale, starting with the Statue of Roy, Priest of Amun and Antinous (shown above as 3D captures from which the moulds were created). The objects have been cast from reusable moulds in Jesmonite (a water-based resin commonly used in museums), with the potential tin the future to produce in a variety of materials – one day even chocolate! You can now buy resin replicas of the statue of Roy (£200) and Antinous (£250) from the Museum’s Grenville Shop or online. Follow the British Museum on Sketchfab today, and look out for more models on sale soon!